The bulk of this crew (i.e. 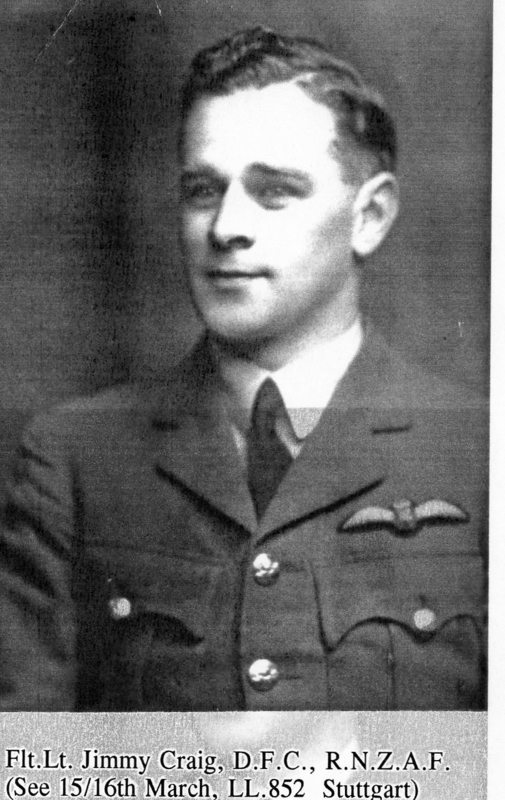 all excluding the pilot) was a previously "headless" crew after the loss of their pilot F/Sgt J P Harrison (PoW) on his second "dickey flight" with WOJIMiller. F/Lt J F Craig and crew failed to return (crew: 6 KIA, 1 PoW) in Lancaster LL852 when it was lost on 15/16 Mar 1944 to Stuttgart (one of two 550 Sqdn Lancasters lost on this operation (see also LM392).